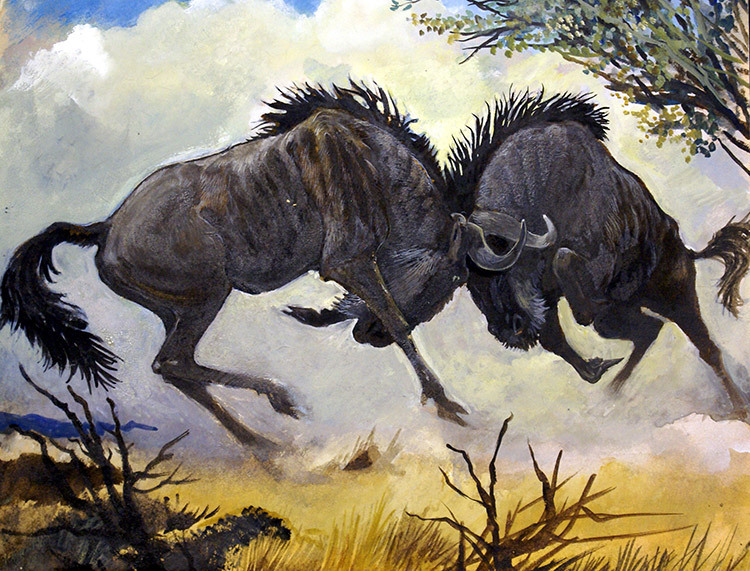 Horns of Fury as two African buffalo lock horns. 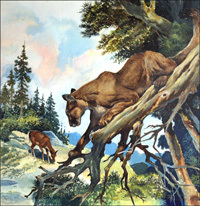 Cover from Look and Learn no. 133 (1 August 1964). This is the original artwork.